Elizabeth City County was a county in southeastern Virginia from 1634 to 1952. Originally created in 1634 as Elizabeth River Shire, it was one of eight shires created in the Virginia Colony by order of the King of England. 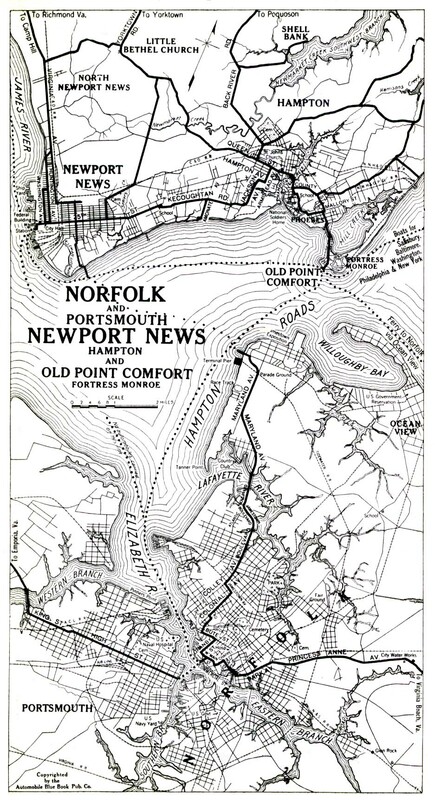 In 1636, it was subdivided, and the portion north of the harbor of Hampton Roads became known as Elizabeth City Shire. It was renamed Elizabeth City County a short time later. The links directory provides suggestions for a variety of websites to assist in your family history and genealogy research. Harvard's Social Museum Collection-Under "By Geography", click on "Virginia", then click on "Hampton"